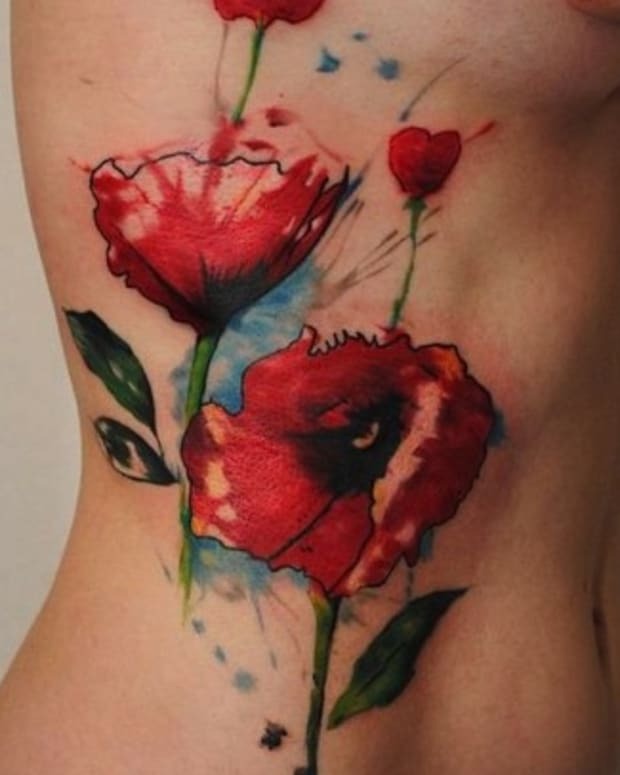 This gallery contains some of the cutest girly tattoos. People who are out of the loop seem to think that the idea of a girl tattoo is an oxymoron, they believe that all tattoos need to be masculine and super tough. 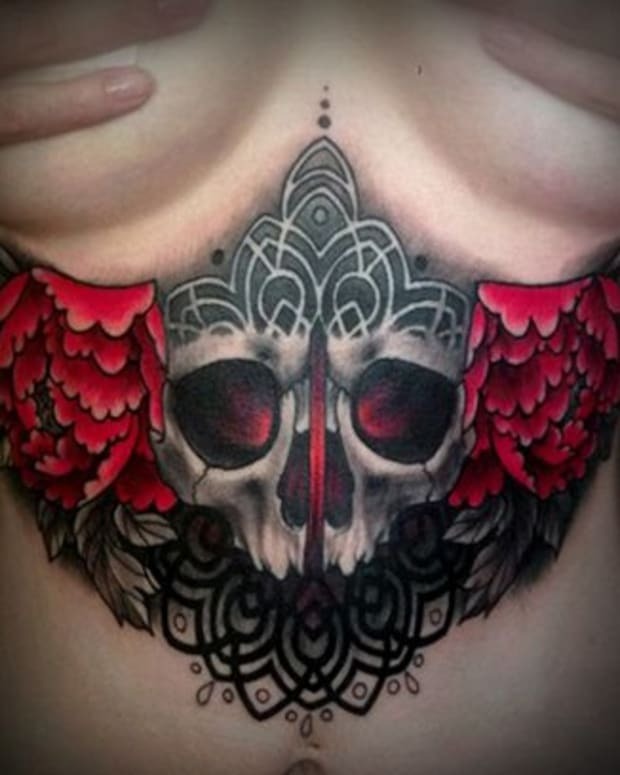 While we love skull tattoos like everyone else, there is something about a creative, feminine tattoo that impresses us so much more. In this gallery of girly tattoos you will find cat tattoos, nature tattoos, flower tattoos and so much more. The talented tattoo artists behind these tattoo designs were clearly trying to soften the look of these girly tattoos into something more feminine than what you would find in traditional tattooing. 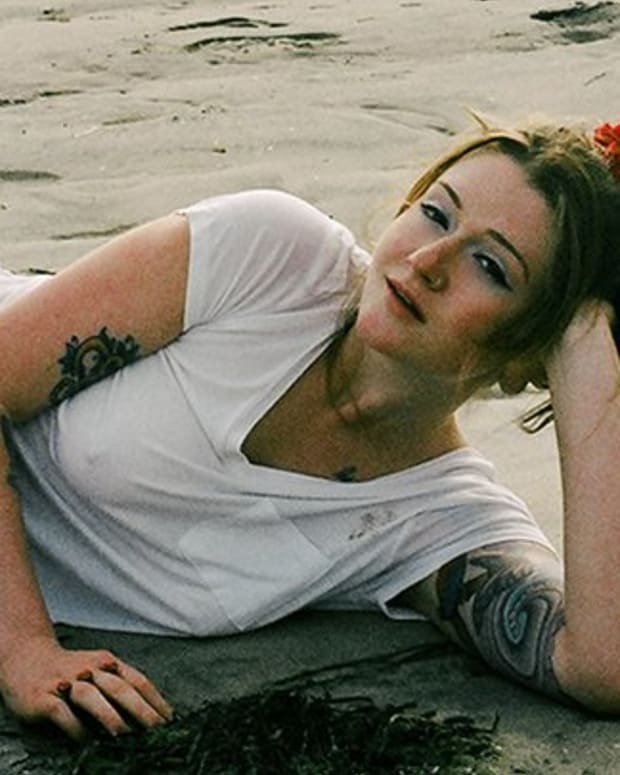 Cast aside all of your previously held beliefs about tattoo art and marvel at these girly tattoos. 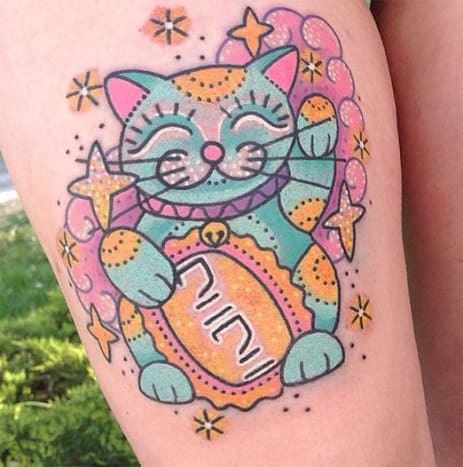 Can you even fathom anything cuter than this lucky cat tattoo by Kelly McGrath?